We strengthen and support local civil organizations and forest communities’ rights to their land resources, and ensure that justice systems return favorable jurisprudence. This new project supports Indigenous communities in the South-West region of the Central Africa Republic to lay legal claim to recognition of their rights to the lands and resources they have been occupying and using for generations. In addition to securing land rights, the program aims to support communities in the next step to develop strategic skills for successful community forestry management. Focusing in the Mai Ndombe and Equateur provinces, this project works on building a network of forest defenders to document human rights abuses of forest-dependent communities affected by extractive and large-scale agricultural industries, and forest protection programs. 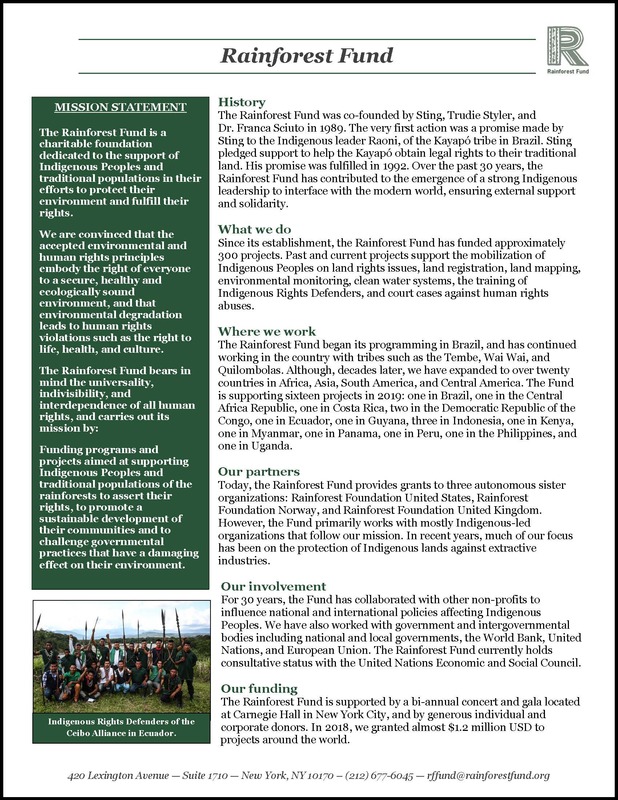 This program not only empowers forest communities to defend their own land where distant organizations cannot, but it can also raise awareness and elevate them to be part of the policy-making process, as they submit their documented evidence of human rights violations in the field. Community workshop with ANAPAC staff and Pygmy community in the DRC. The overall objective of this project is to give the isolated and forgotten Pygmy communities in three provinces of North Kivu the appropriate tools to understand and learn about their rights. The Pygmy communities only speak their own language, making them powerless in front of the invasion of their land, all in the name of the national United Nations REDD+ program. 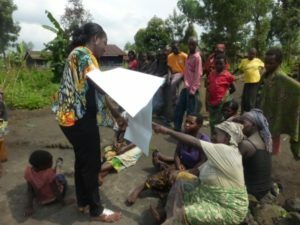 Through tangible actions such as restoring the school and health center, and regular meetings led by the project holders where they use communication tools tailored for the Pygmy’s understanding; the communities learn that they have rights and the means to protect their land and their natural resources. The project is enabling the Ogiek community in Chepkitale, near Mount Elgon, to engage in the policy-making process, following and taking advantage of the Community Lands Act enacted in 2016. The community will also be continuing their work to complete zone mapping of their ancestral land to move toward the recognition of their rights to their ancestral land. One interesting feature of this project has been the integration of Indigenous knowledge in schools and involvement in recent critical court cases. The goal of this new program with the Ngetha Media Association for Peace is to strengthen the safety and protection of Indigenous, environmental defenders in the Albertine Region of Uganda, an area that is rich in biodiversity, but also in oil and gas. In this region, defenders face threats, digital surveillance, censorship, assaults, arbitrary arrests, detention, kidnappings, and murder. 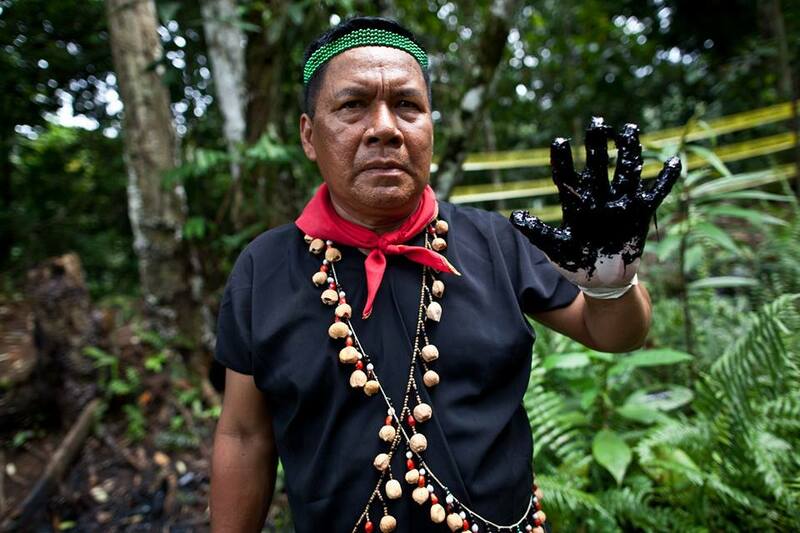 This program provides digital and physical security training to environmental defenders; and partners them with technical support and paralegals.